Howard Rheingold’s influential Virtual Reality (1991) touted the “ten-year rule,” according to which computer enthusiasts by the millions—in 2001—would be interacting directly with virtual worlds through their desktop VR engines. But films of the 1990s, such as Kathryn Bigelow’s Strange Days (1995) and David Cronenberg’s eXistenZ (1999), and novels such as Pat Cadigan’s Synners (1991) and Richard Powers’s Plowing the Dark (2000), uniformly present VR as the usher to a postmillennial apocalypse. Their dystopias are a means by which the legacy media of print fiction and the cinema “remediate” both the false promises and the disturbing threats of an artificial reality that would supplant them. Some say that with the technological improvements introduced by Oculus Rift or Google Glass, VR’s moment in media history has finally arrived in the 21st century; some say that for VR and its funny goggles, its future has already passed. Lecture presented at the Agency/Poetics/Media conference. The Graduate School in Language and Culture in Europe. Linköping University. Linköping, Sweden. November 26, 2015. 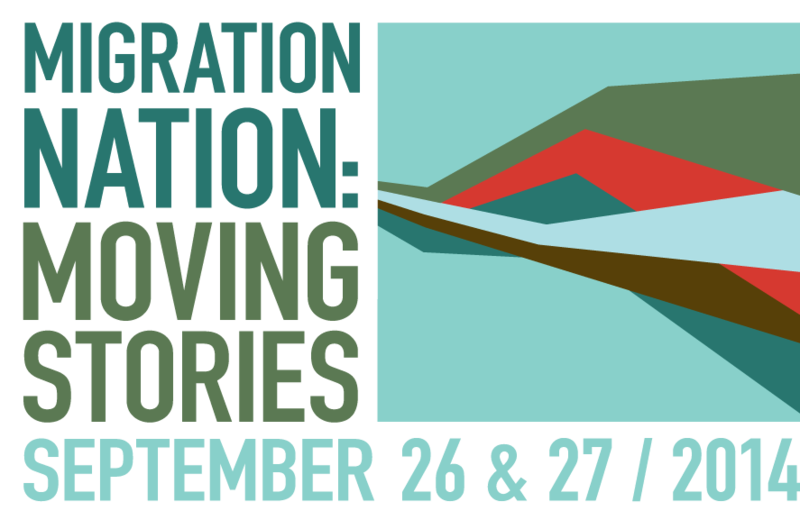 As part of the Buffalo Humanities Festival, “Migration Nation: Moving Stories,” I will present a lecture on “Naturalization, the Alien Nation and the Literature of Immigration,” Saturday, September 27, 2014 at 4 pm in the Burchfield Penney Arts Center on the Buffalo State College campus. “Transnational Politics and the Post-9/11 Novel,” suggests that literature produced after Sept. 11, 2001 reflects a shift from the provincial politics of nation-states to those of transnational politics, and confronts issues that require adjudication across national, geographic, cultural, linguistic, religious and racial borders. Conte cites Don DeLillo’s “Falling Man,” Orhan Pamuk’s “Snow” and J.M. Coetzee’s “Diary of a Bad Year” as examples of work that articulates the emergence of resistance to the global hegemony of the market state and explicitly critiques transnational politics that arise as a result of globalization. Joseph Conte’s research interests include postmodern fiction, transnational literature and politics, fiction after 9/11, postmodern theory, the literature of immigration, poetry and poetics. He is the author of Design & Debris: A Chaotics of Postmodern American Fiction, which received the Elizabeth Agee Prize in American Literature from the University of Alabama Press in 2002, and Unending Design: The Forms of Postmodern Poetry, published by Cornell University Press in 1991. He has been a SUNY Senior Fellow at the New York-St. Petersburg State University Institute of Cognitive and Cultural Studies in St. Petersburg, Russia and Visiting Professor in Comparative Literature at Capital Normal University in Beijing, China. 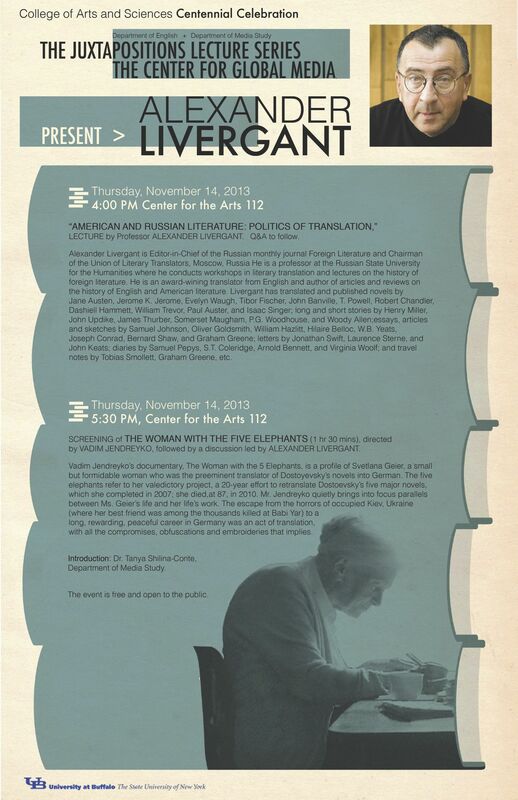 In conjunction with the College of Arts and Sciences Centennial Celebration, The Juxtapositions Lecture Series, Department of English and the Center for Global Media, Department of Media Study, present a lecture by Alexander Livergant, “American and Russian Literature: Politics of Translation,” on Thursday, November 14, 2013 at 4:00 PM in the Screening Room, Center for the Arts 112. The lecture will be followed by a screening of The Woman with the Five Elephants, directed by Vadim Jendreyko, and discussion with Prof. Livergant. The UB Humanities Institute (HI) has named eight Faculty Research Fellows for 2013-14. “Our fellows are the best. They are innovators—cutting-edge scholars whose work places them at the forefront of their disciplines,” says institute Director Erik Seeman, professor of history. The Faculty Research Fellowships are among several offered by the institute. They will fund the fellows’ release from teaching two courses in the coming academic year, permitting them to focus on a major research project. In addition, fellows will actively participate in institute programs and present their work as part of the “Scholars @ Hallwalls” lecture series. “The release time is very appealing, of course, but the fellowship also affords recipients the opportunity to regularly discuss their research with one another and with the public, a process that broadens everyone’s understanding of the work going on here and promotes cross-disciplinary engagement,” Seeman says. “It is more difficult than it sounds to explain your academic work broadly and discuss its implications for the audience in particular and to society in general,” he says, adding that the fellows enjoy this challenge and say they very much enjoy discussing their work with those who ordinarily would not be exposed to it. “Three of the fellowships are generously supported by the Office of the Vice President for Research (OVPR). The OVPR/HI Faculty Fellows are selected from proposals that are particularly strong in the promotion of the interdisciplinary mission shared by the OVPR and the institute,” he says. Joseph Conte, professor, Department of English. Conte’s project, “Transnational Politics and the Post-9/11 Novel,” suggests that literature produced after Sept. 11, 2001 reflects a shift from the provincial politics of nation-states to those of transnational politics, and confronts issues that require adjudication across national, geographic, cultural, linguistic, religious and racial borders. Conte cites Don DeLillo’s “Falling Man,” Orhan Pamuk’s “Snow” and J.M. Coetzee’s “Diary of a Bad Year” as examples of work that articulates the emergence of resistance to the global hegemony of the market state and explicitly critiques transnational politics that arise as a result of globalization. My lecture in the UB Humanities Institute Scholars@Hallwalls series is scheduled for Friday, December 6, 2013 at 4 pm. All lectures in the series take place at Hallwalls Contemporary Arts Center, 341 Delaware Ave in Buffalo, NY. Lectures are free and open to the public. 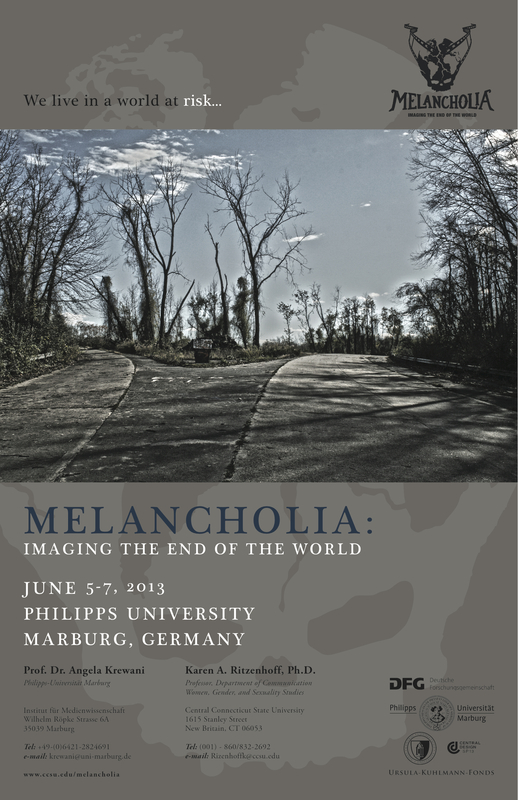 I’ll be presenting a paper on “The Ruins of the Future: Don DeLillo’s Cosmopolis, David Cronenberg’s Adaptation, and Gerhard Richter’s October 18, 1977,” at the conference on Melancholia: Imaging the End of the World, Philipps University, Marburg, Germany, June 5 to 7, 2013. After the millennial apocalypse that went by the name Y2K fizzled, Americans felt secure in their leadership of the New World Order; but then the Towers fell, ushering in the twenty-first century for real as an age of terror and retribution. 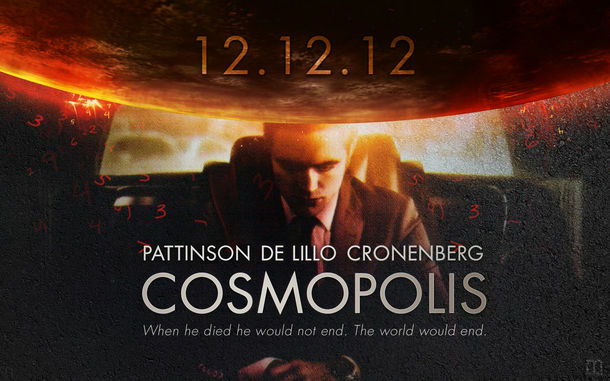 Don DeLillo’s novel, Cosmopolis (2003), probes the source of this catastrophe in the transnational forces of global capitalism and resistant terrorism. The novel chronicles a single day in April 2000 when the financial market suddenly loses its momentum and wobbles towards collapse. As billionaire currency speculator Eric Packer embarks on a crosstown odyssey in Manhattan, he is confronted by black flag anarchists at the NASDAQ Center, the funeral cortege of a murdered rapper, the President’s motorcade, and finally a lone assassin who resembles an amalgam of Lee Harvey Oswald and John Hinckley, Jr. DeLillo remarks that “the day on which this book takes place is the last day of an era.” The film adaptation of Cosmopolis (2012) by David Cronenberg evokes both the claustrophobic compression of a long day’s journey and a fatalistic inevitability as Packer and the country accelerate toward “the ruins of the future.” In a cotemporaneous short fiction by DeLillo, “Baader-Meinhof” (2002), strangers view the installation at the Museum of Modern Art in New York of Gerhard Richter’s cycle of fifteen canvases, October 18, 1977 (1988), that render in blurred grayscale images the suicides of German Red Army Faction terrorists, Ulrike Meinhof, Gudrun Ensslin, and Andreas Baader. Resistance to state corporatism and the origins of modern terror bring artist, novelist, and filmmaker to a vision of an apocalypse yet to come.